With so many softwares available nowadays developing web pages is not at all difficult, you can simply write the web page in less than half an hour and have it up viewable. If you are wondering that with these tools is there actually a need for HTML validation to find errors then let me tell you don’t have to however if you want your pages to be viewable through the upcoming version of HTML or if you want the latest versions of the web browsers to be able to display the information correctly then writing valid HTML is a must for you. There are several reasons for you having to Write valid HTML and as to why HTML validation is necessary. Here in this post we will discuss about the need for HTML Validation and some of the best HTML Validators that can be used for validating HTML. You need to make use of a HTML Validator to make sure that what you write is valid. 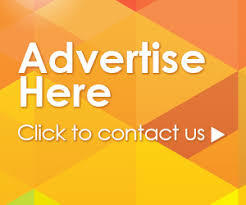 But for you know the fact that the entire audience of a website using only one particular kind of a web browser , he setting of your website is likely going to infuriate few of the visitors of your website by making it inaccessible to them via various on standard and invalid HTML. 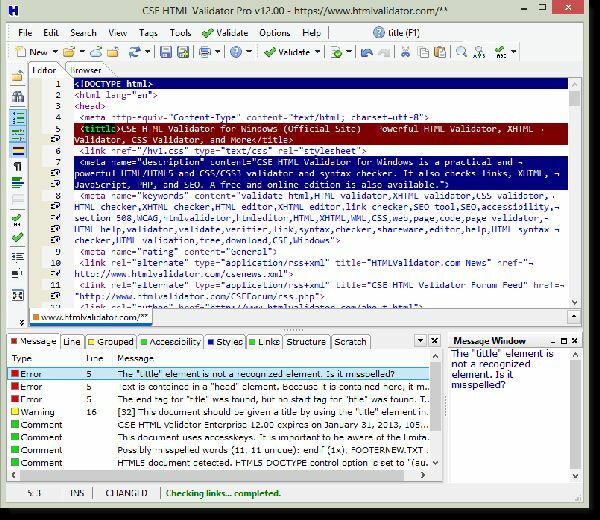 Thus if you make use of HTML Validators for HTML Validation they will check for the HTML code for browser specific entities and will indicate and alert you for their use. 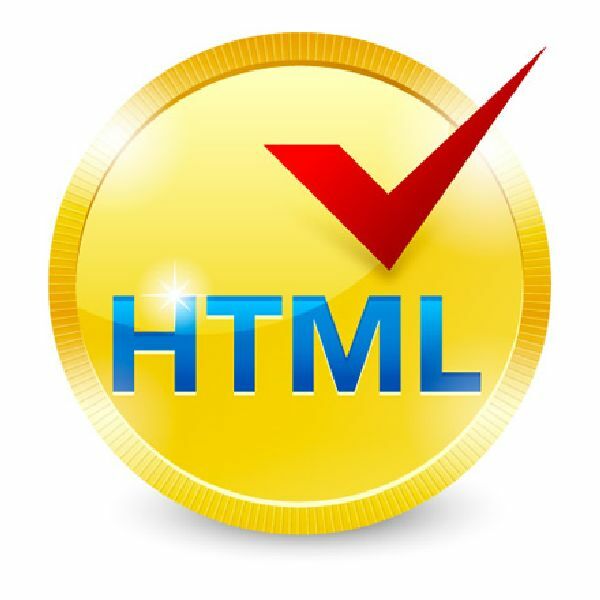 Web Browser specific HTML code can be a part of the Standards or might not be a part of the standard. You should not go by the assumption that just because only a single web browser supports something it is not a standard or rather by the assumption that if several web browsers support it then it is a standard. For example if you take HTML5 it is supported by most of the Web browsers namely Mozilla , Safari , Google Chrome , Opera however HTML5 is not yet established as a standard. With the enhancements and evolution in the Web Browsers they are reaching close heights to supporting the standard HTML which is written by the World Wide Web Consortium (W3C) . 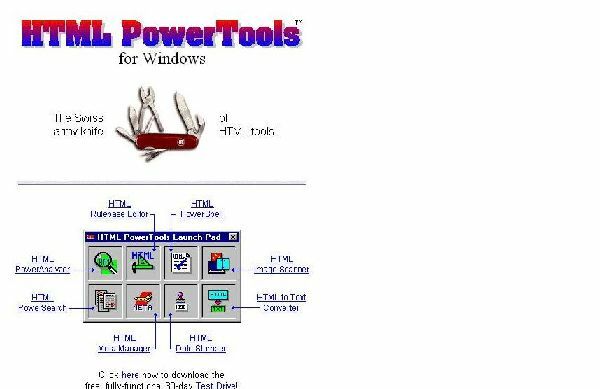 Even if by chance they do not completely support the latest version of HTML the possibility is that the browser builders will go in and ensure that they are at least complaint with the older versions of the HTML standard. The problem is that if you are using non standard HTML then when the web browsers evolve your web pages will no longer be supported by them. A good example to quote this scenarios is that few of the web developers were using the old version of Netscape and they included several Body tags along with varying colors so that Netscape will load them all one after the other rendering a flicker or fade-in effect when the web page loads however this concept no longer works as it is dependent on the incompatibility of the web browser. Generally people need to keep on asking others to look at their web pages and tell them why their HTML code is performing strangely. When they ask standard experts these questions they simply get back to them with the solution is just few minutes and the reason behind this is not because they are HTML experts but rather they run that Web page through HTML Validator which will easily figure out the problem with the HTML Code and when figured out will solve the problem of all such unexplained errors. 1) The validation should not just validate HTML but must as well validate JS , CSS, Links , Access , Orphans , Spelling , Browsers and Speed. 2) It should be able to validate a group of files in a single batch. 3) It should be able to validate HTML both offline and online. 4) It should validate against a defined DTD or schema. 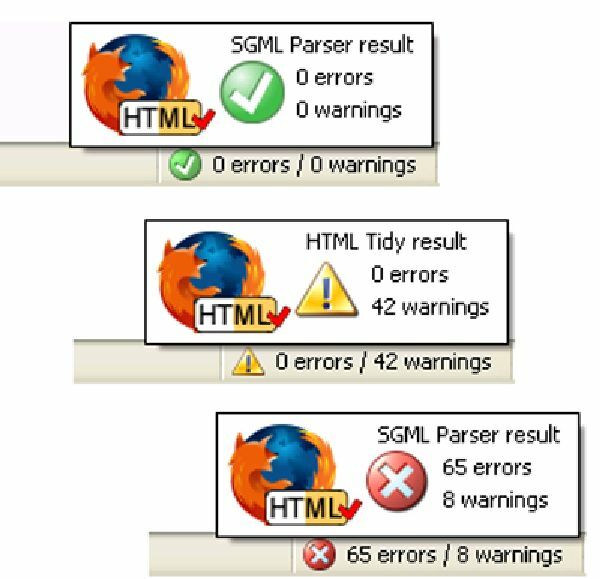 5) The HTML validation you choose must display both errors and warnings. 6) Last but not the least if the HTML validation is not free then the price does matter. W3C Validation Service is considered to be among one of the best HTML Validators as it is a free HTML validation which will check your HTML document against the schema that is listed in the document or against a DTD. This validation service is likely to be more accurate as it is a validation that is provided by the individuals who write standards. This validation does not consists of any additional things such as the Link Checkers or the Spell Checkers however it will give you links where you can run those tools on your site. This is an online HTML validation with a score of efficiency of near about 58%. This is a pretty simple to use HTML Validator and does nothing more than checking your HTML validity. If you are looking for some quick tool that can give you info about your web pages that are live then WDG HTML validation must be your consideration. This is an online HTML validation with a score of efficiency of near about 41%. This Validator is a collection of various Windows Applications that will help you in managing your website. Despite the fact that you can buy each of these apps individually the price will not make any sense and that is why it has been evaluated as a suite of Windows Applications. This validation has the capability to check spellings , links, orphan files and help you in validating your website offline. This Validator is available in 3 varying flavors. The CSS HTML Lite Validator is free of cost and has minimal validation features whereas the CSS HTML Standard Validator is going to cost you money but will provide maximum validation features. The CSS HTML Pro Validator is much more costlier than the Standard flavor and has paramount features. Nevertheless it is at all times suggested that you first try the CSS HTML Lite Validator version before you think of buying Standard or Pro so that you can be assured of the fact that you like the way the CSS HTML Validator works.